Now just to state that originally I had a list of 38 comedy films and then had to cut it down to just 10 films so I know people will be asking why their favourite film isn’t on here and believe me it was hard to cut 28 of my favourite comedy films off the list, but the films on the list are the best of the best and deserve your laughs. Part 2 will be released on Wednesday. This film is fantastically weird and I loved the whole skit of the fashion and model world. Comic actor Ben Stiller co-wrote, directed, and stars in this spoof of the fashion industry that began as a short skit for the 1996 VH1 Fashion Awards. 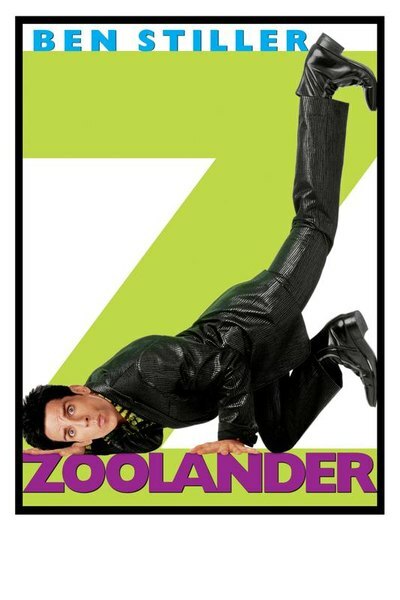 Stiller is Derek Zoolander, an intellectually challenged but bone structure-blessed male model who’s despondent after being eclipsed in popularity by an equally vacuous rival, Hansel (Owen Wilson). Tim’s Film Reviews Recommended. My favourite scene would have to be the final scene of conflict between ben and wills characters from the fantastic over reactions of Will Ferrell to Ben Stiller’s perfect portrayal of a truly stupid person, oh and of course the magnum pose had me on the floor laughing. The thing I really liked about this film is that it’s stupid from start to end but I didn’t care because I was laughing too much, quick note but definitely one of Owen Wilson’s best comedic performances. Frank The Tank! Frank The Tank! Ah Will Ferrell you hilarious man child. Three men relive their carefree college years by killing off as many brain cells as possible in this over-the-top comedy. Mitch (Luke Wilson) returns home from a less-than-pleasant business trip one evening to discover his wife, Heidi (Juliette Lewis), involved in a ménage à trois with two blindfolded strangers. Feeling less than welcome at home after this, Mitch rents a house near the campus of a nearby college; two of Mitch’s old college buddies, Beanie (Vince Vaughn) and Frank (Will Ferrell), stop by to cheer him up. Tim’s Film Reviews Recommended. Best scene by far would be the forming a fraternity and the one of the initiations which was, well, very harsh to say the least for one student. You’ll agree if you’ve seen it, the bridge, rope, a weight attached to erm… a certain extremity. Will Ferrell made his mark on this decade and in this film shows off why he has made such an impression on this list, mainly the absurd behaviour he commits to his characters. I really love an underdog story and this is basically the whole plot so you really feel for this gang of weird and wonderful characters. 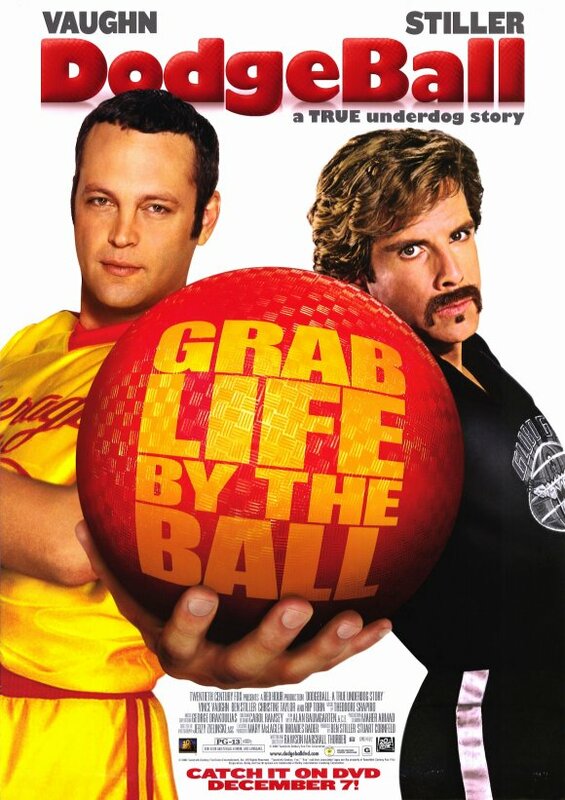 Dodgeball revolves around amiable underachiever Peter LaFleur (Vince Vaughn), whose rundown gym, Average Joe’s, is populated by a less-than-average clientele including a self-styled pirate, an ultra-obscure sports aficionado, and a pining high school nerd. It soon becomes apparent that Joe’s is in financial trouble and will soon be foreclosed by attractive attorney Kate Veach (Christine Taylor) – unless Peter can cough up $50,000 by winning Dodgeball tournament. Tim’s Film Reviews Recommended. My favourite part of the film would have to be the training phase with Patches O’Houlihan just the name makes me laugh and is also part of my favourite review for this film ‘This masterpiece of modern cinema depends upon a single truism: A guy getting hit in the nuts a hundred times in a row is funny a hundred times.’ Peter Travers. So true Pete and is the down to basics of why this film works. This film could literally be the most quotable and memorable comedy film ever made, everybody got a chance to say something hysterical and stupid in this film. Here is a list of quotes from Anchorman http://www.rottentomatoes.com/m/anchorman/quotes/. 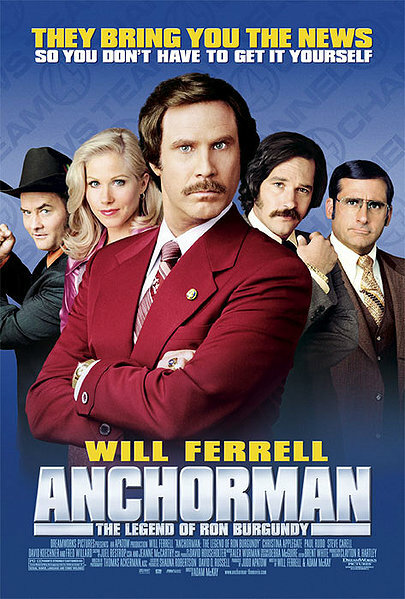 Anchorman is set during the 1970s and stars Will Ferrell as Ron Burgundy, San Diego’s top-rated news anchorman. While Burgundy is outwardly willing to adjust to the idea of females in the workplace — even outside of secretarial positions — he certainly doesn’t want his own job challenged. Tim’s Film Reviews Recommended. Best scene would have to be the fight between all the news channels, it was the most ridiculous and unexpected laugh out loud moments I have ever seen and I don’t know anybody who didn’t laugh at Steve Carrell in that fight(you pick the grenade part or the trident part). Best review ‘What takes the whole thing pleasurably over the top, turning a goof into a total gas, is the film’s pitch-perfect absurdist comedy and warmth.’ Manohla Dargis. Just watch the clip below and you will get what I mean about this film. This is the most racist and unacceptable piece of work ever made into a film, but god forgive me its hysterical. The film is great skit of all things that people think of America’s world policies and nobody but the south park creators could make. 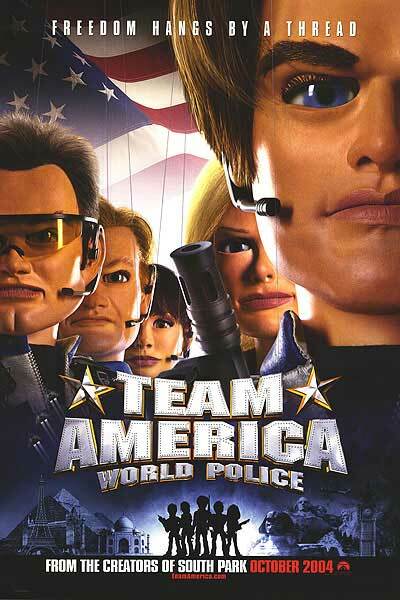 Directed by South Park creators Trey Parker and Matt Stone, Team America: World Police is a tongue-in-cheek but nonetheless politically biting send-up of the CGI-laden, big-budget action movies that have taken an almost exclusive hold over mainstream box offices, particularly during the summer months. Tim’s Film Reviews Recommended. My favourite scene would have to be Paris being saved by the team from a terrorist but destroying more of Paris in the pursuit than the terrorist would have, this clearly trying to mirror the views of some about America’s way of doing things. Plus it’s great to piss the French off. What, they make it so easy. My favourite lines would have to be “I’m so ronery.” and “MATT DAMON”. Fun list. Dodgeball always cracks me up especially Stiller’s inane character Goodman.